Does this make me a Fleet Captain? 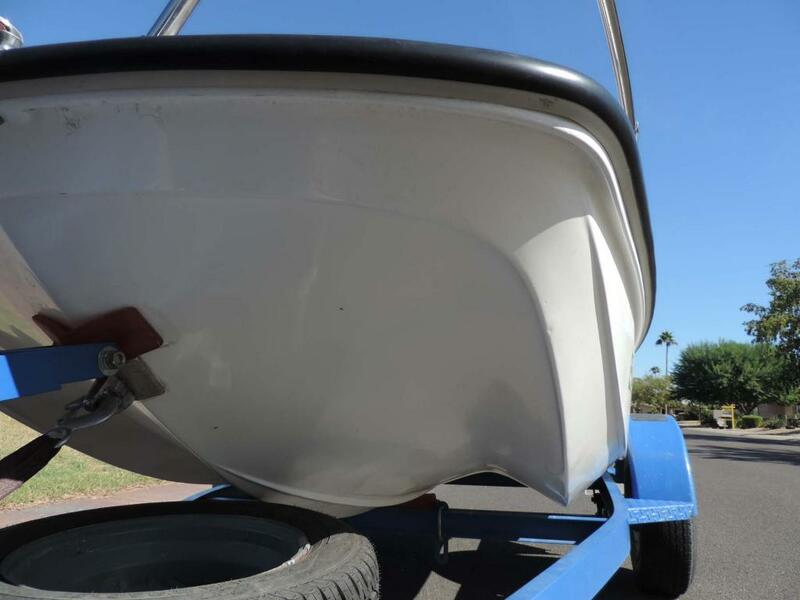 For a couple of months now, even before we came down to AZ, I’ve been watching a boat that was listed down here on Craigslist. I was hoping it was still here when we came south, but I really didn’t want to get my hopes up too high. Well, the bad news is that it’s no longer for sale, but the GREAT news is that it’s now mine. I called the seller and arranged to meet him yesterday afternoon. 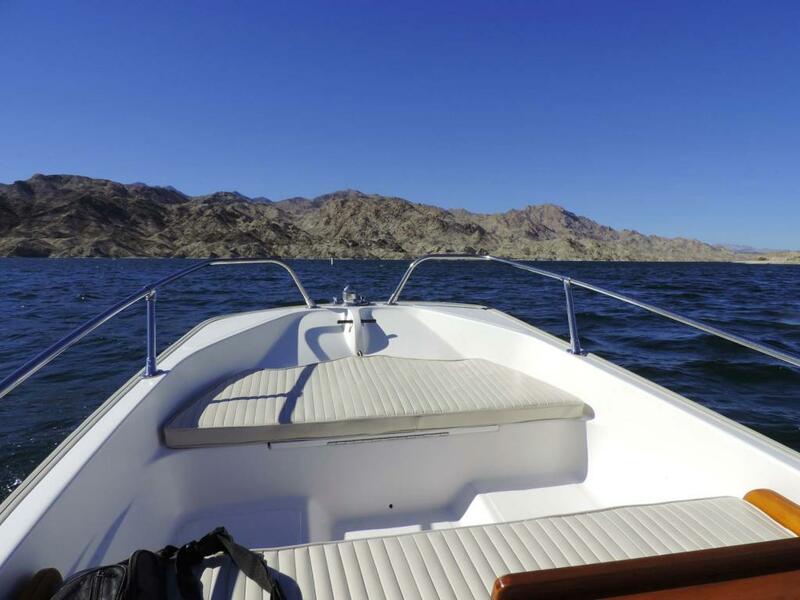 He lives in Kingman, AZ and we agreed to meet him at his home for a sea trial. GW and I left here around 9:00, got to Kingman and had some lunch then met him at his home. 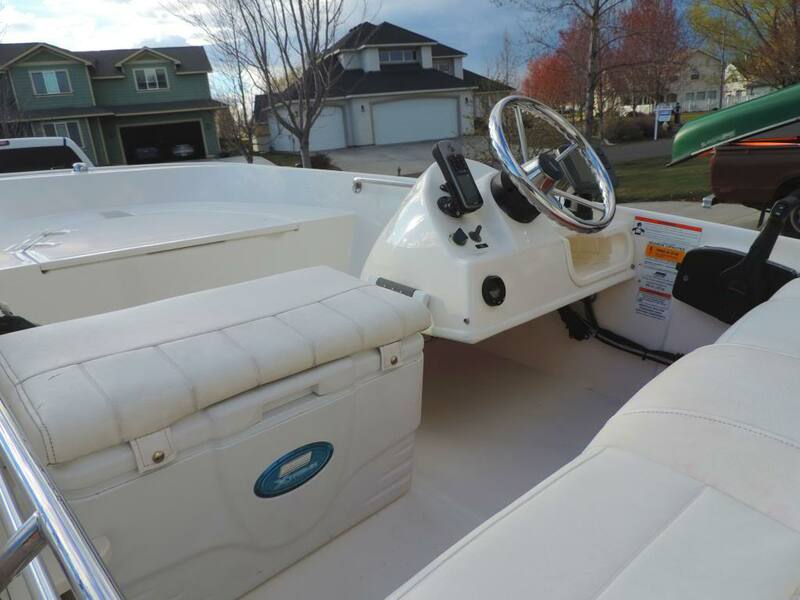 The boat is a 1981 Boston Whaler Sport. 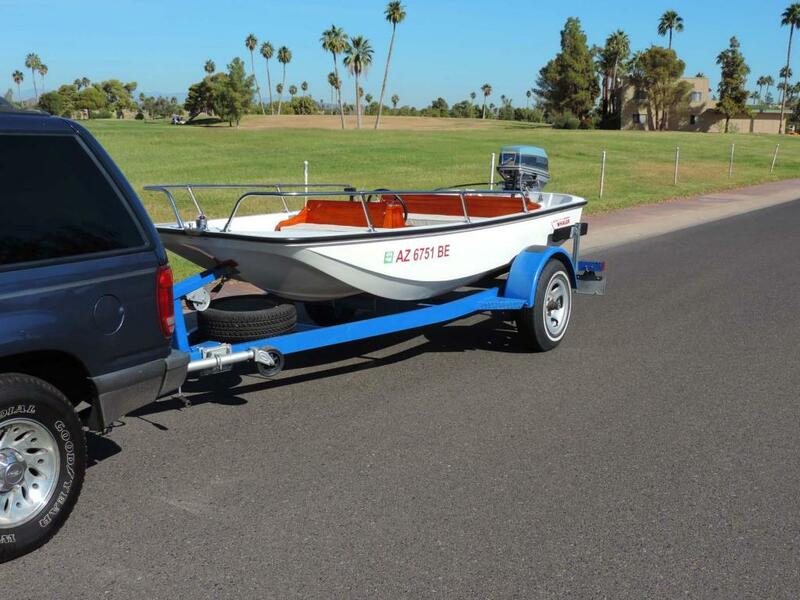 It’s 13’ 5” long x 5’ 5” wide, has a 40hp 2-stroke Evinrude on it and it’s on a Trail-Rite trailer that fits it just fine. The seller had owned it for about 3-4 years after buying it from his nephew. Three years ago he did a total restoration on it and it shows. 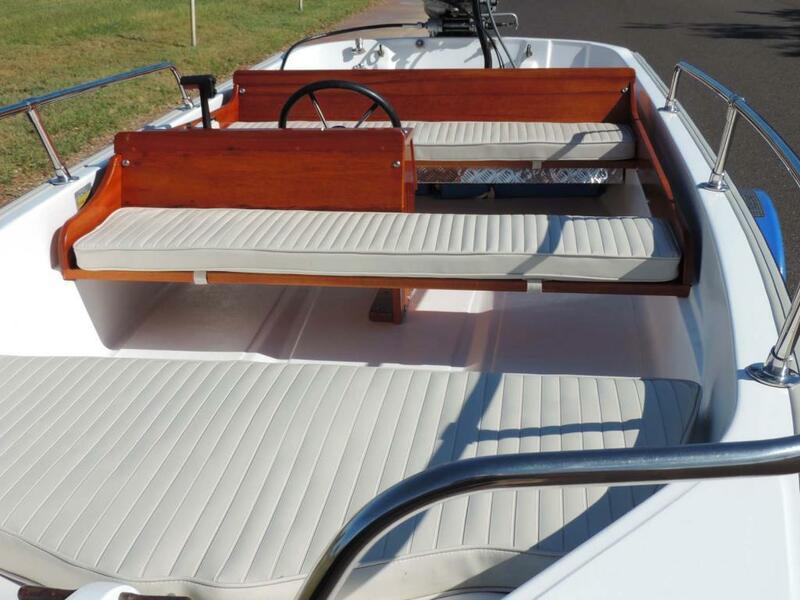 He replaced all the wood, the seat cushions, and did a complete gelcoat removal and replacement both inside and outside the hull. After crawling around it to check it out we headed for Lake Mojave which sits on the AZ/NV border. 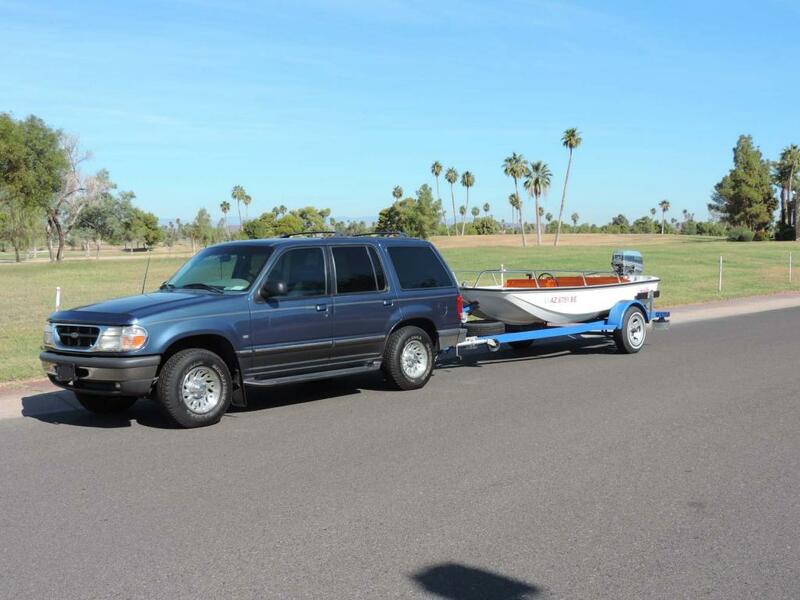 I followed the seller because I wanted to see how it trailered—straight, wheels aligned, boat rode well on the trailer, lights all work, etc. We launched it and took it for about a 15 minute ride then headed back to the trailer. We didn’t have a GPS, but I’m guessing we got up on plane in just a few seconds and the boat cruised nicely at about 20-25mph. Since we didn’t have a GPS I didn’t see any reason to run at WOT. So we hooked it to my truck, I paid the man, he signed off the title to the trailer and gave me a bill of sale and the registration for the boat and GW and I headed back home. We discussed a name for the boat and since we already have a “Beachcomber” and a “Little Beach”, that this one should be called “Sunny Beach”. Here are the photos. I hope you like it. This is the only photo I took on Lake Mojave. Here's Sunny Beach hooked up behind my 1998 Exploder. I'm the original owner of the truck and it's become our AZ truck. It only has 111,000 miles on it and runs and drives like a champ. I'm going to register it down here in AZ since this is the only place we'll be using it. The "helm". Things were a bit simpler back in 1981. 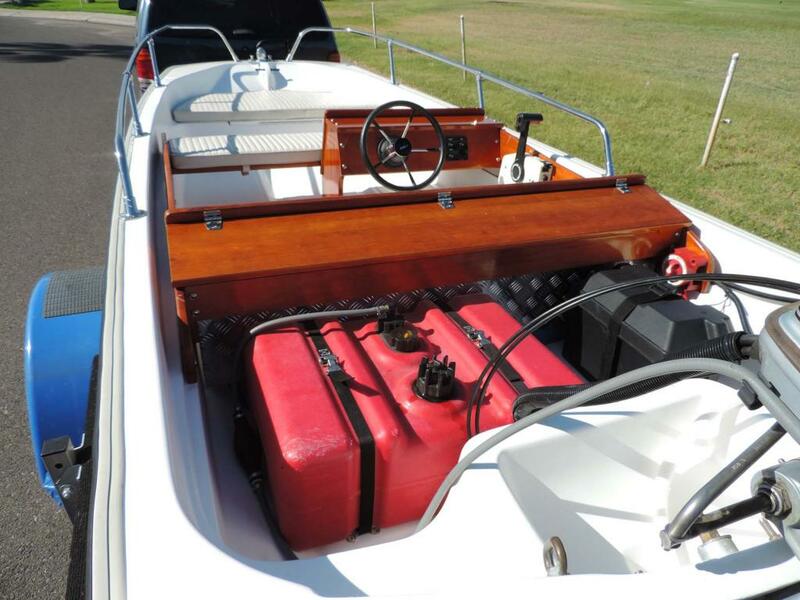 There's a large (full width) storage area under that mahogany panel that's in the foreground, and another under the bow seat cushion. It has a 12 gallon gas tank and a brand new Interstate battery. From the bow. If you lift up that bow cushion there's a pedestal mount where a fishing seat goes. He gave me the seat and the stand that it sits on but we carried those in the truck on the way home. Like I said, things were a bit simpler back in 1981. There isn't a mark on the bottom of the hull. This guy has only used it a couple of times since he restored it and it still looks like new. One of the first things I'm going to add is a depth finder/fish finder because we're not familiar with the lakes down here. After that will come a bimini top. The boat came with a full towing cover but we'll use that when we store it, not when we tow it. GW and I are already looking at the lakes around here and figure we're within easy distance to Havasu, Lake Roosevelt, Lake Pleasant, Bartlett Lake and a couple of others. So, having three boats, who of which are Whalers, does this make me a fleet captain? I'm stuck on the fence between a 13-15 or a 17 foot model. Boston Whaler makes a great boat. Welcome to the whaler family! They are great boats. May I suggest that you checkout Continuouswave.com It is a website dedicated to Boston Whalers. They are a friendly lot and a source of information on just about anything whaler. One thing I have found about whalers is once you have one it is hard to let it go. I know from experience I currently own five of them. I have a Whaler Montauk I bought new in 1981, it has been fished hard over the years so doesn't look as pretty as that one but still in great shape. Boy! 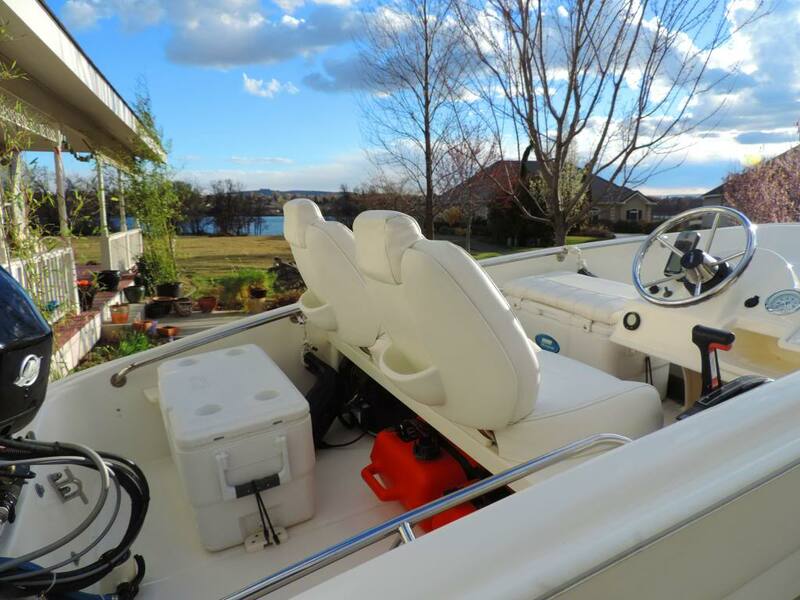 The 13' Boston Whaler has gotten much fancier since my family had one in the mid 1960's. Nice boat. Fun!! Looks like it carries plenty of fuel, too!! Those old 40/50's can be a little snotty at low revs, but run great at cruise. Very good on fuel for a two stroke, too. Very nice BW. Congrats and have fun! We are going to have a TON of fun with this one, and we're going to keep it down here to trailer to lakes around AZ and neighboring states. This thing trailers like it wasn't even back there. Whalerdon, I've browsed around ContinuousWave a bit and I'm amazed at how much information is available on there. That's one VERY well put together website. CPseudonym, it wasn't much of a choice for us. The 13 tows well behind the SeaRay, and this 13 I just got was too darn nice to not get it. 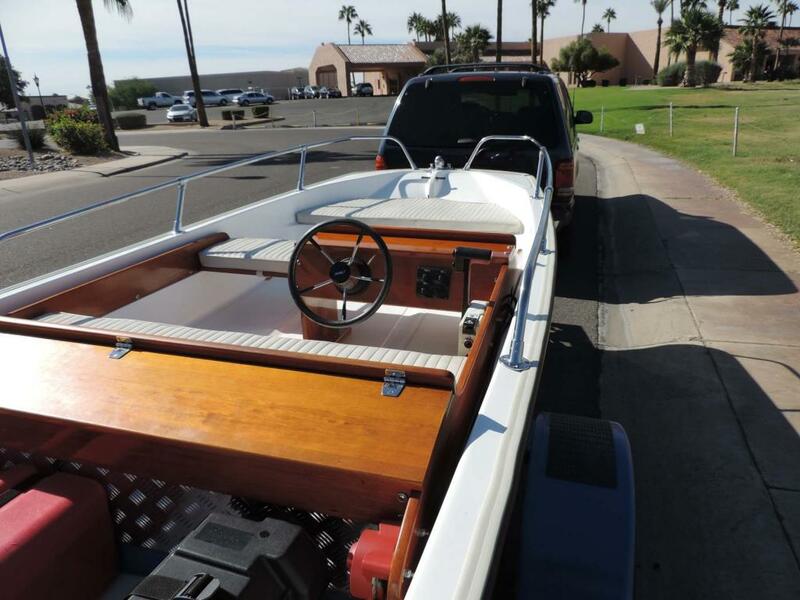 1961 13'3" Whaler 1964 - 1970. First it had 18 hp Johnson, then 20 Johnson, then 40 hp Johnson. Full dodger for trips along New England coast. Great fun when young! Solid wood seats. Beat your asssss offff in real chop when going fast. But in my teens - could have cared less! Good luck with yours. New ones look real comfortable as compared to seating/layout in my 1961 model. Thanks for the comments on the boat. I've added two safety chains to the tongue (there was only one???? ), got her registered and the license plate installed, and gave her the first coat of wax. We probably will hit the water with her on Monday or Tuesday. Photos to follow. I still have my first boat, a 12' Porta-Bote so we named it "low cotton". The dinghy we named "Q-Tip". 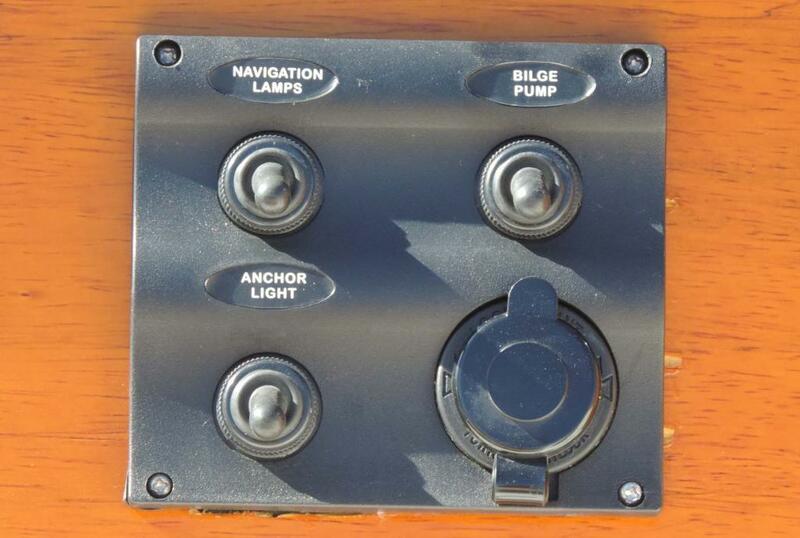 I would like to have a small outboard powered boat, perhaps 16' to cruise around on the river. A friend bought one for his daughter for $6K, a really nice CC. She didn't like it and I found out recently that he sold it. I wish he had given me a chance to buy it. Be sure Tina is not in the bow when running in a chop. Don, I had to chuckle at your comment about Tina riding in the bow. She learned her lesson several years ago when we had our 11' RIB in the San Juans. We were headed from the resort where we were anchored (Rosario) into town, a trip of about 9 miles or so. There was a bit of a wind-driven chop, about 1' tall. She insisted on sitting on the fiberglass floor of the RIB rather than on the tubes. She paid the price on the way into town. On the way back she took my advice and sat on the tube. I don't think she'll want to sit on the bow cushion if there's any kind of a chop. When we took our Whaler that we have in WA up to Lake Pend Orielle in northern Idaho we made a 32 mile run from the south end of the lake at a town called Bayiew, up to Sandpoint at the northern end. There was a 1'-1.5' chop the whole way. 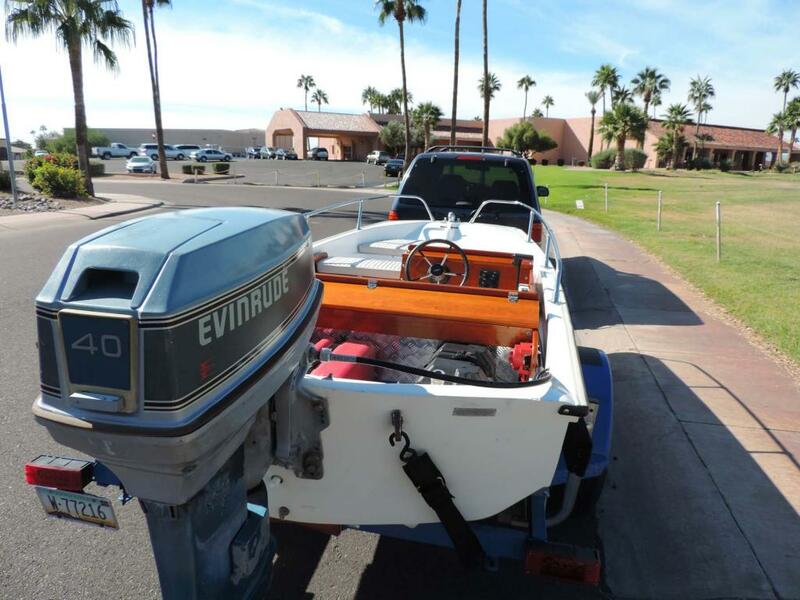 That boat ran much smoother than this one is going to due to the weight of the boat, the newer hull design, the additional weight of a 4-stroke motor vs a two stroke, and we had some additional gear on board. This one is going to be a bit bumpier but still a lot of fun. Nice boat Mike . Looks like a lot of fun . There was a 13 for sale on YW not far from me that looked pretty good . We're probably going to take her out Wednesday to Lake Pleasant. We don't have anything on our agenda for that day and the weather looks like it will cooperate. To answer your question NO. I think you are more a Commodore at this point. OK, being a "fly boy" during my military service not a "water baby", what's the difference? Air might be wing commander. Commodore Wyntoon - Baileys of Balboa!